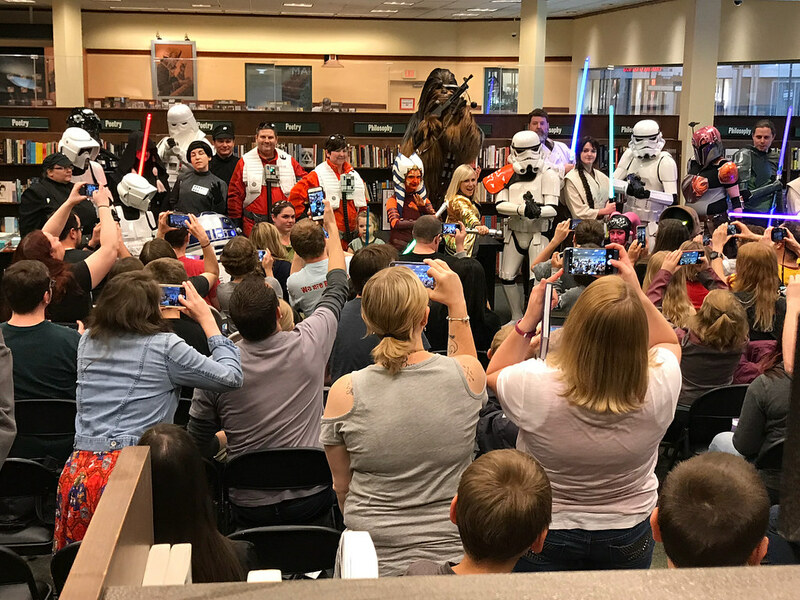 On May 12th, members of the 501st Legion, Rebel Legion, Minnesota Force, and Galactic Academy attended the book signing for Ashley Eckstein‘s new book, It’s Your Universe: You Have the Power to Make it Happen at Barnes & Noble at the Har Mar Mall in Roseville. 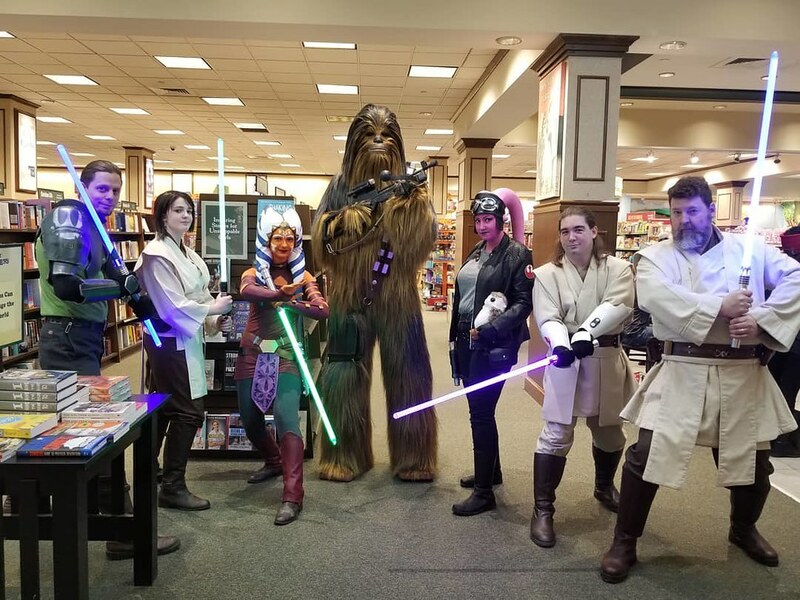 We had the opportunity to chat with her for a while, and she took time to sign our books and memorabilia and pose for photos with us. She is as kind and wonderful as you would expect! You can purchase a copy of her book here, or wherever books are sold. 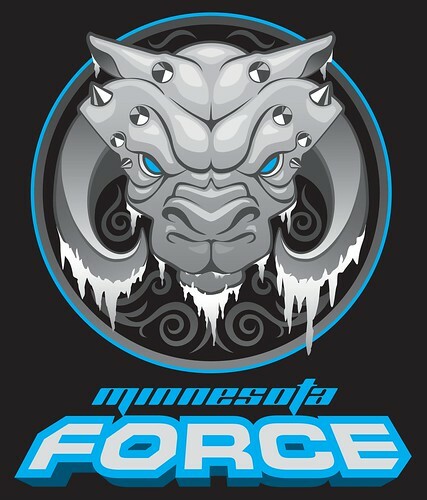 She will be back in the Twin Cities on May 30th at Hot Topic at the Mall of America. Photo Credit: gogogrrrl on Instagram. 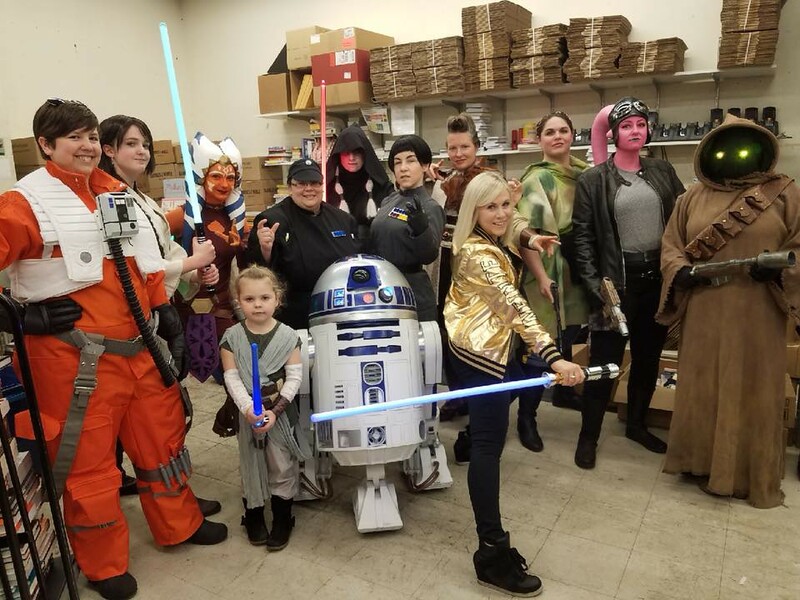 Costumers: Amanda Fineran, Pari Elizabeth, Eve Zabronsky, Molly Fineran, Jennifer Schubert, Jennifer McNitt, Lynn Sessions, Anna Sawyer, Jordan West, Kris Heding, and Nicole Webinger. Photo by jen17662 on Instagram. Costumers: Alex Hall, Pari Elizabeth, Eve Zabronsky, Paul Haga, Kris Heding, James Douthitt, and Trevor Bailey.